Construction of the £9 million business unit for independent hospital group Spire Healthcare is underway at Worcester Six Business Park. Spire Healthcare is the UK’s largest private hospital provider and the expansion into the business park is set to create up to 60 new jobs. Worcestershire County Council Cabinet Member with Responsibility for Economy and Infrastructure, Dr Ken Pollock, said: “With work starting on construction of this new building for Spires Healthcare, you can really start to see Worcester Six take shape and move forward. "Work is already well underway for Kimal's new headquarters and with the recently announced expansion for Material Solutions, it puts the Worcester Six Business Park firmly on the map for other potential businesses who are after an amazing location." Spire Healthcare is already a major employer in Worcestershire with a hospital at South Bank in Worcester and The Spire Clinic in Droitwich. 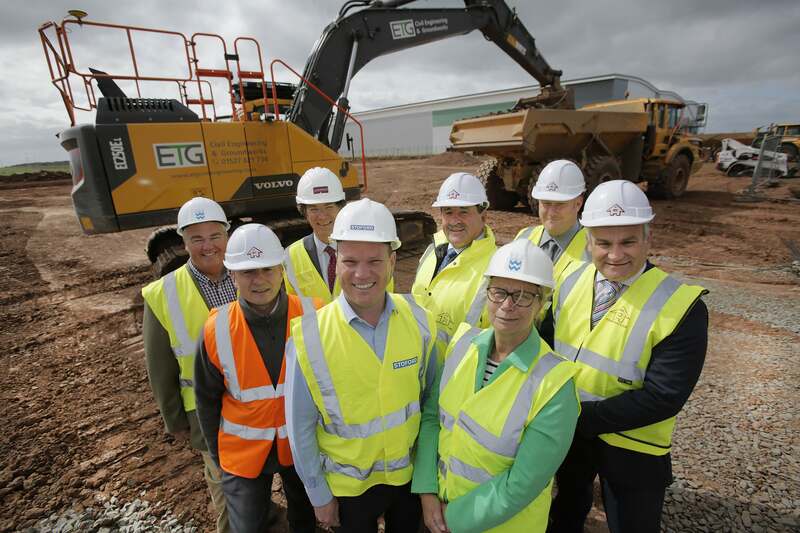 The new site, along with the National Distribution Centre at Stonebridge Cross in Droitwich, will house supply chain and facilities support for its clinical operations for the two Worcestershire sites and other hospitals across the UK. Stoford Developments, who are developing the business park on behalf of local partners Worcestershire County Council, Wychavon District Council and Worcestershire Local Enterprise Partnership, has confirmed that work on the new unit is planned to be completed next spring with Spire moving in shortly after.